Automotive technician jobs can be a great career choice. Find out if a mechanic job as a mobile technician is right for you. According to the latest U.S. Bureau of Transportation statistics from 2012, there are over 254 million registered vehicles in the United States, so the demand has never been higher for intelligent, talented, and motivated technicians. In spite of this, dealerships and independent shop owners often require us to work fixed schedules with little vacation time and limited flexibility to take care of things that need to be done during the day. Automotive technician jobs are not all alike - YourMechanic matches customers in 700+ cities nationwide with mobile automotive technicians and redefines how people have their vehicles serviced. One of the most important parts of this redefinition is making sure that we work with the top talent in the field, who take the best care of customers and their cars. 1. Starting rate is $40/hour: All of our technicians start at $40/hour, and get paid weekly. The benefits go beyond just the hourly rate: At traditional shops, if the customer is on vacation, and doesn’t pick up the car for two weeks, you don’t get paid until the shop gets paid. With YourMechanic, you get paid at the beginning of every week for the work you did the week prior. All work happens at the customer’s location, so you never have to wait for customers to pick up their cars. When you finish a job, you can rely on that money being there the next week. 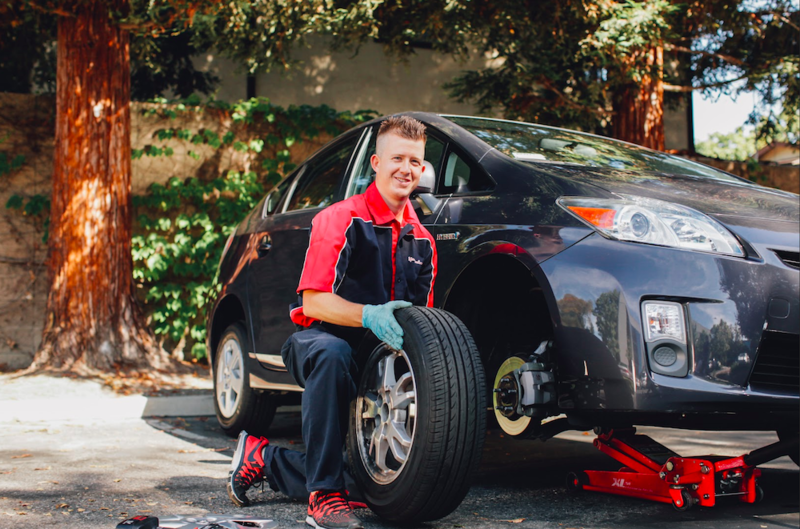 One of our technicians, Josh F. in San Francisco says, “the pay is definitely higher, especially if you treat it as your own business.” On top of that, all your job-related expenses such as gas and tools may be tax deductible. 2. Flexible schedule: You set your own schedule at YourMechanic. The service hours are 6am to 9pm local time every day of the week, and you can choose how many days, and how many hours each day, you want to work. 3. Be your own boss and ditch the drama: If you’ve ever worked at a dealership, you know what it’s like to have too many bosses and to work in a cut-throat environment where you have to lock up your tools every night. Independent shop techs know what it’s like to work their fingers to the bone, while the shop owner is sitting in his office buying things online that you could only hope to afford. Bonus point: Your opinion actually matters at YourMechanic. If you’ve been in the industry long enough, you’ve probably had some great ideas that likely fell on deaf ears. YourMechanic has the opposite approach: if you’re out in the field and discover something you would like to see changed about the entire process, we encourage you to bring it up. No matter how big or small, it will be given fair and proper consideration by our operations team, and you will receive feedback on it. Oftentimes, our technicians’ ideas are integrated into the process, and it only makes for happier customers and technicians. Technicians are the greatest resource in this industry, and we fully respect and integrate your insights and ideas for improving our business. Joining our team as a mobile mechanic is a chance not only for you to begin working with a company that will completely change the automotive repair industry, but also an opportunity for you to influence that change. You’ll enjoy great pay, a flexible schedule, loyal customers, and drama-free work. If this sounds good to you, apply to join us as a mobile technician today.